When removing Learners from a Class you have the option of performing this in bulk on individually. On Top Navigation Bar, click Timetable. 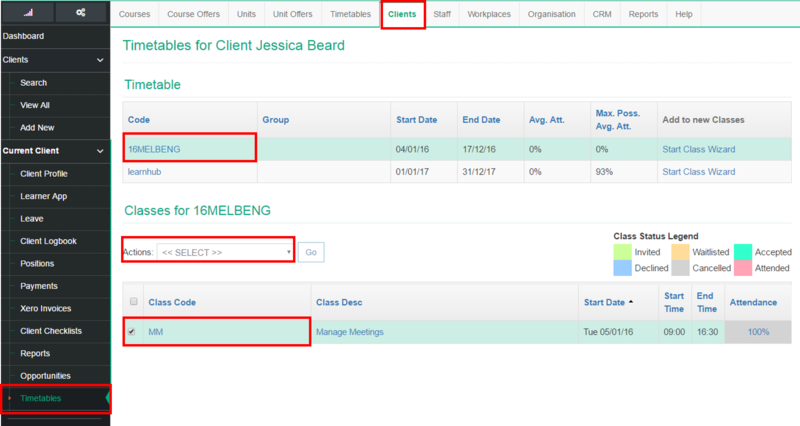 A summary of each timetable is listed showing the Average Attendance and Maximum Possible Attendance in the Client‘s Timetable screen. On Top Navigation Bar, click Clients.